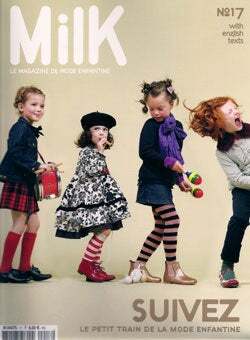 So we told you about the new issue of Milk, the French children's fashion magazine for new hipster fashionista parents, and its well-illustrated breastfeeding story. The editors love the edgy photo shoots, and most are cute... But a concept in this same issue gave us pause. Granted, we don't know the difference between a geisha and a prostitute, or a geisha and a woman in traditional Japanese dress. But we do know that dressing children in this stuff results in awkwardness — for us and for them. Because these kids don't exactly look like they're having the time of their lives. Check out some of the shots, after the jump.